The Memorial Candle Program has been designed to help offset the costs associated with the hosting this Tribute Website in perpetuity. Through the lighting of a memorial candle, your thoughtful gesture will be recorded in the Book of Memories and the proceeds will go directly towards helping ensure that the family and friends of Robert Poore can continue to memorialize, re-visit, interact with each other and enhance this tribute for future generations. Obituary for Robert Lavern Poore Sr.
Robert “Bob” Lavern Poore, Sr., 86, of Roanoke, VA, formerly of Mt. Airy, NC, went to be with his Lord on Monday, March 12, 2018, with his family by his side. Born on April 1, 1933, Bob grew up attending Grace Moravian Church in Mt. Airy where he was a member of both the band and choir. As an adult, he became a Mason and was a longtime, dedicated member of First Evangelical Presbyterian Church in Roanoke. He will be remembered for his beautiful tenor voice singing hymns. Bob retired as owner of Poore, Talley and Associates Confectionary Brokerage and was known dearly to friends and neighbors as “The Candy Man”, due to his generosity in giving candy to all the neighborhood children and families. He is preceded in death by his parents, Mary Elizabeth Allred Poore and Romey C. Poore, Jr., and beloved granddaughter, Elizabeth Hunter Ozmer. He is survived by his loving wife of 66 years, Nancy Gordon Poore of Roanoke, VA; daughter, Cindy Scaggs and husband Rick of Roanoke, VA; son Robert L. Poore, Jr. and wife Dana of Charlotte, NC; daughter, Annette Poore of Pilot Mtn, NC; son, Gordon R. Poore, Sr. and wife Anne Marie of Roanoke, VA; his grandchildren, McNair Mittel, Travis Dossett, Alexandra Poore, Amelia Poore; Robby L. Poore, III, Romey G. Poore, Jr., Selden Poore; great-grandchildren, twins Max and Lavvie Griffin; sister Margaret Smith and husband Kyle; an aunt, Martha S. Watson, and many nieces, Nephews and friends. The family would like to thank Carilion Hospice for the continued care of their husband and father, with special thanks to Jack and Clara. 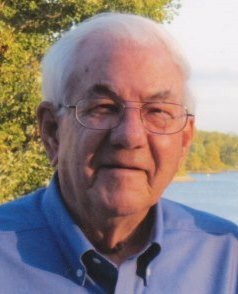 A Memorial service will be held at 12PM, Saturday, March 17, 2018 at First Evangelical Presbyterian Church, Roanoke. The Rev. Robert D. Smith will officiate. In lieu of flowers, memorial contributions may be made to the First Evangelical Presbyterian Church 2101 South Jefferson St. Roanoke, VA 24014. Condolences may be received by Nancy Poore at her home. An online guest book is available for family and friends by visiting www.johnmoakey.com.